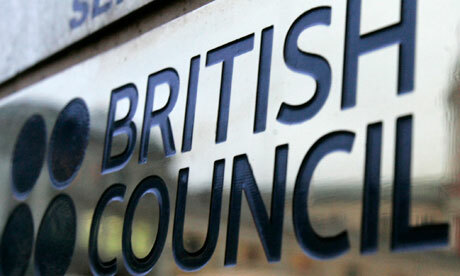 The British Council (BC) is an organisation set up to promote British culture around the world. They have offices in 110 countries and territories and are often a useful source of information on teaching in a particular country. A significant part of their work involves teaching English and many British Council offices have schools attached where they teach English to local people or are involved in teacher training. In some cases the British Council also administers examinations such as the UCLES exams. There are 70 British Council Teaching Centres in 53 countries. It taught 1,189,000 class hours to 300,000 learners in 2006-2007. In examination centres around the world, the British Council administers 1.5 million UK examinations (not just in English though) to over one million candidates each year and this is set to grow. English for peace is an important and growing element of British Council English language work in Africa and other parts of the world. It works to improve the English language skills of military personnel assigned to international peacekeeping duties through the Peacekeeping English Project which is helping prepare approximately 50,000 military and police service personnel in 28 countries worldwide for peacekeeping mission duties. The Peacekeeping English Project is managed by the British Council and funded by the UK government global conflict prevention fund. The BC competes locally with private language schools which often complain about the fact that the BC is subsidized competition. Although the teaching arm makes money, the BC claims to focus its resources on countries where it can make the most money, shutting down libraries in less profitable areas and closing its teaching division altogether in some places. Also, since the BC is part of the UK government it is sometimes the target of attacks against personnel and property in some countries such as Greece‏‎ and Russia‏‎. In 2011 the BC offices were overrun in Afghanistan‏‎ and 12 people killed there. On occasion, the BC has employed known pedophiles with no checking in place to make sure their teachers were suitable to work with children. The BC has also been accused of excessive expenses and wasting tax payers’ money. In September 2010 British Government plans brought into doubt the future of the organization with suggestions it may be scrapped due to budgetary considerations. The Language Business – a blog with several articles on working for British Council, corruption and problems, etc.